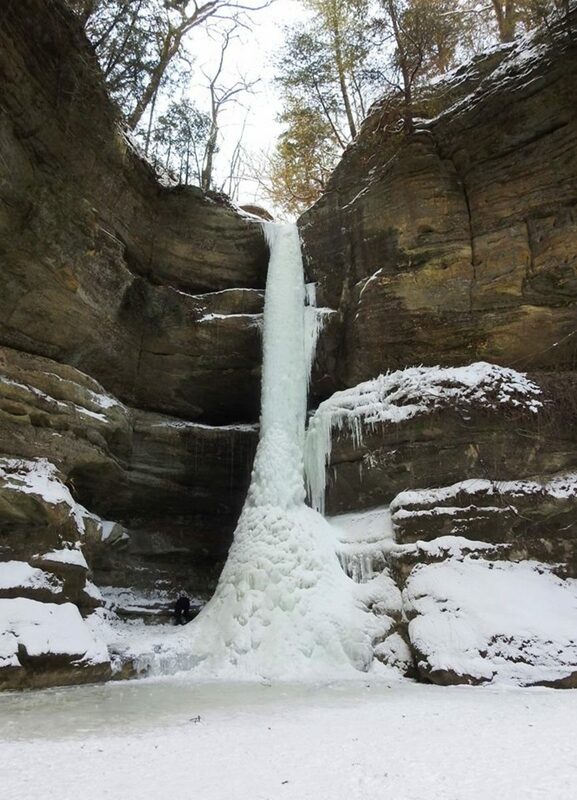 Starved Rock State Park is a great place to get away from the hustle and bustle of the city. It is beautiful and unique. 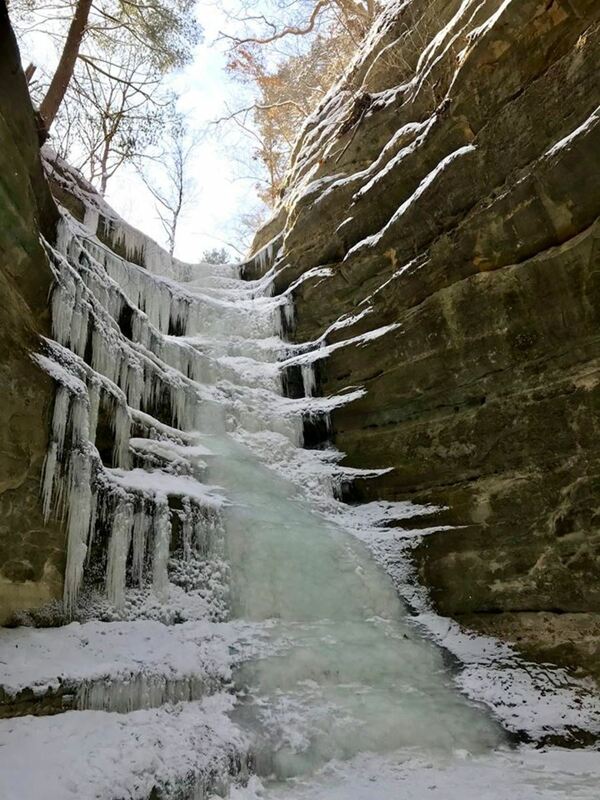 The park is about 90 miles west of downtown Chicago, near Utica, Illinois. 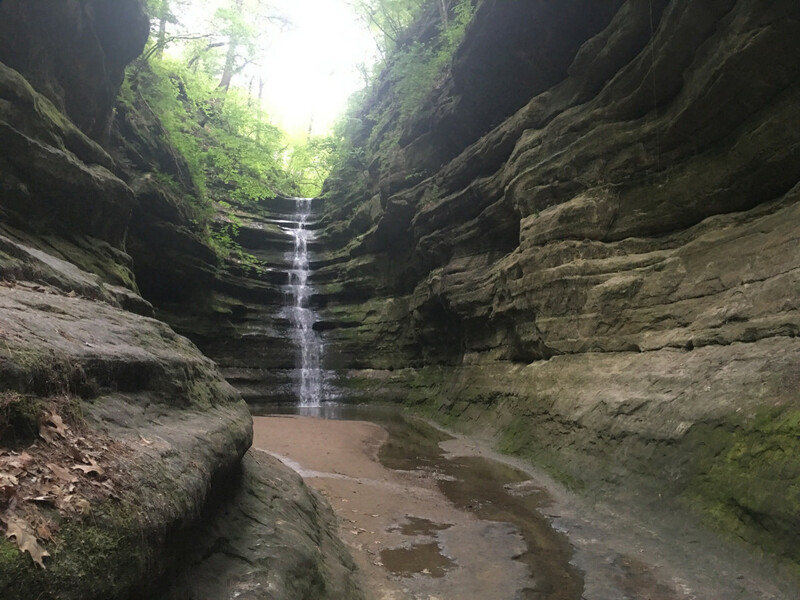 It is one of the most popular state parks in Illinois. 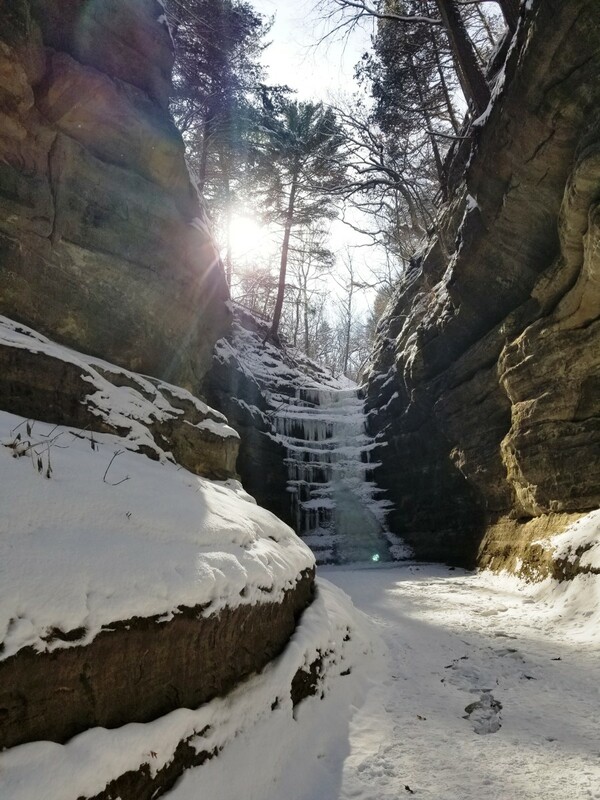 Starved Rock State Park consists of sandstone cliffs, 18 canyons, numerous waterfalls, and over 2,600 acres of forestland. 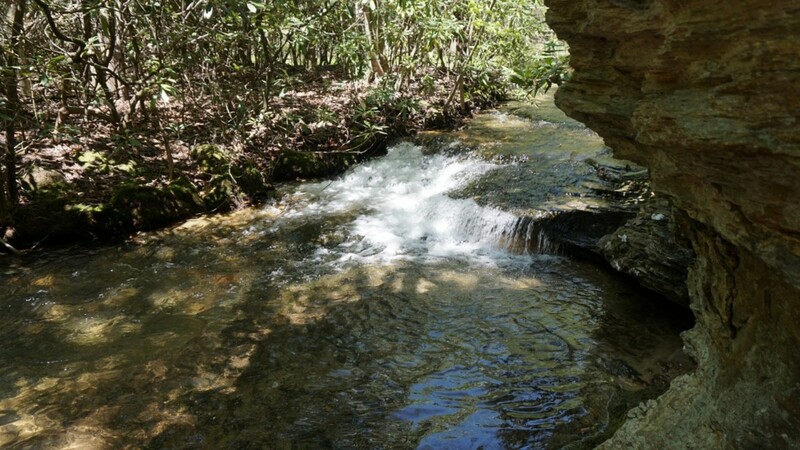 My family and I usually head out there several times a year to hike and enjoy the numerous waterfalls. Here is a look at the best things to do there. 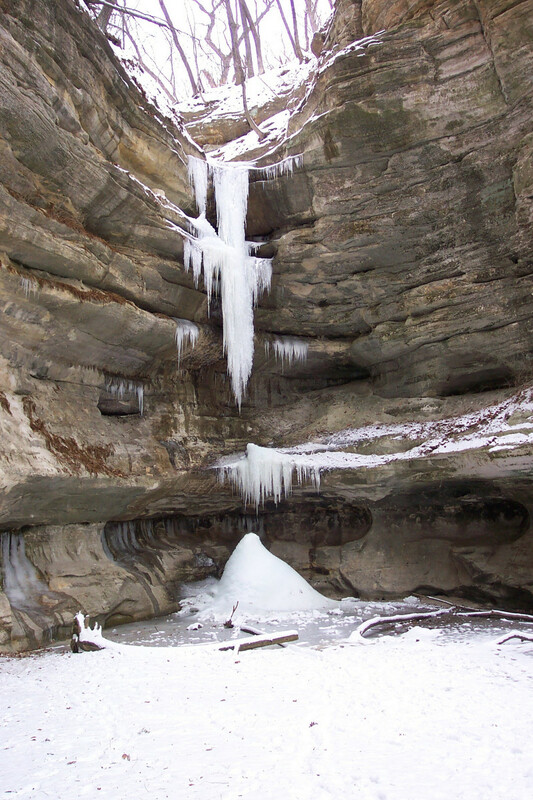 Starved Rock has over 13 miles of hiking trails that lead to various canyons. 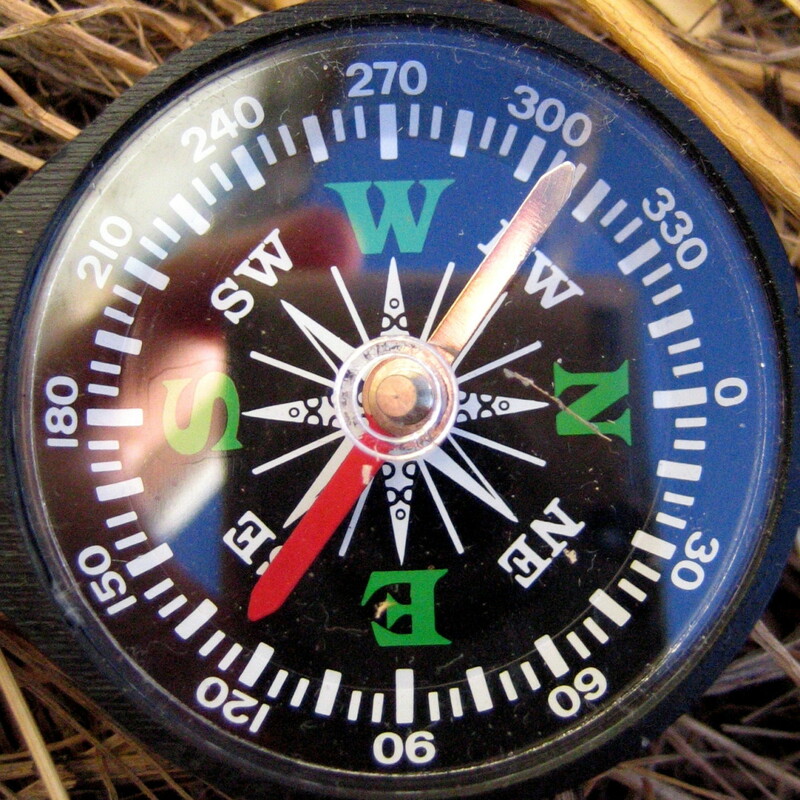 The trails are well marked and easy to follow with maps located at most trail intersections. 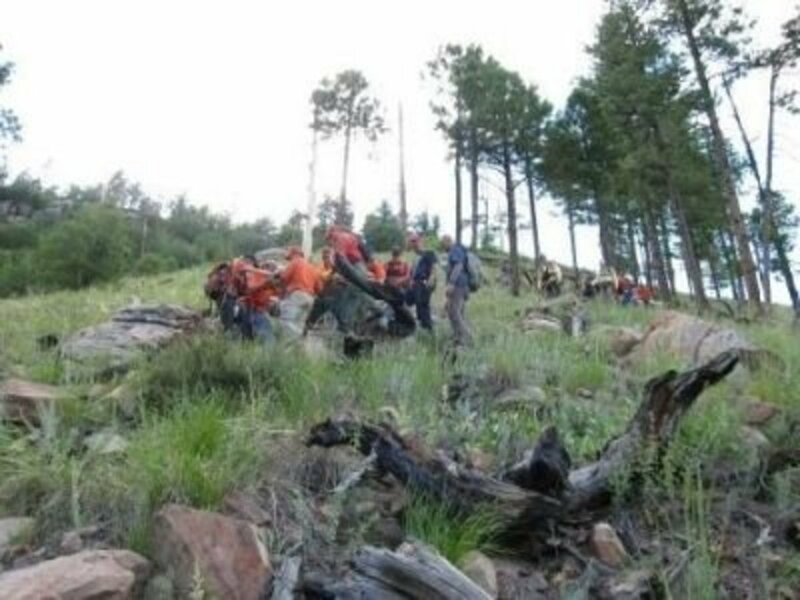 There are a few places where you have to be careful as you hike because the trail is either rock or runs right along a canyon edge. 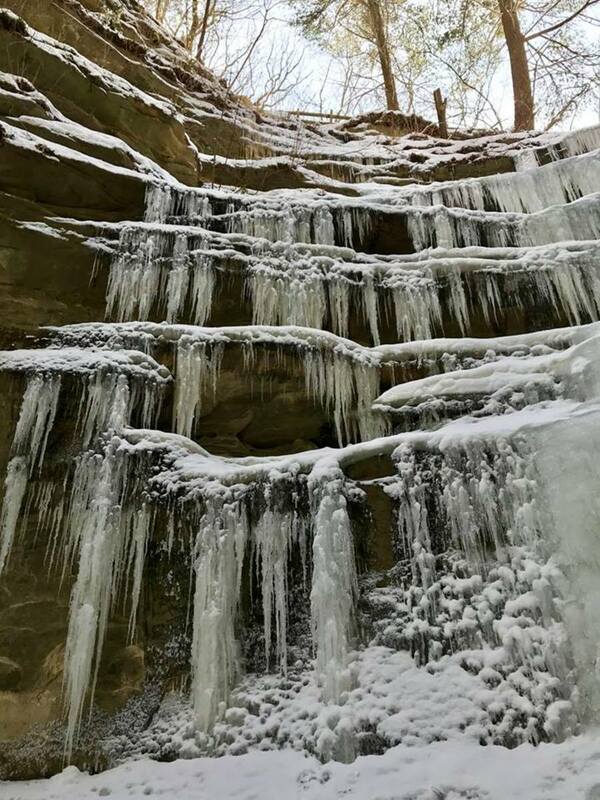 In the winter, the stairs can become quite slick if there are ice and snow on them. On our last visit, there were several inches of snow on the ground. Navigating the trails was not too bad other than having to be careful going down the stairs. I want to share my three favorite waterfalls. St. Louis Canyon is my favorite place to hike to see. 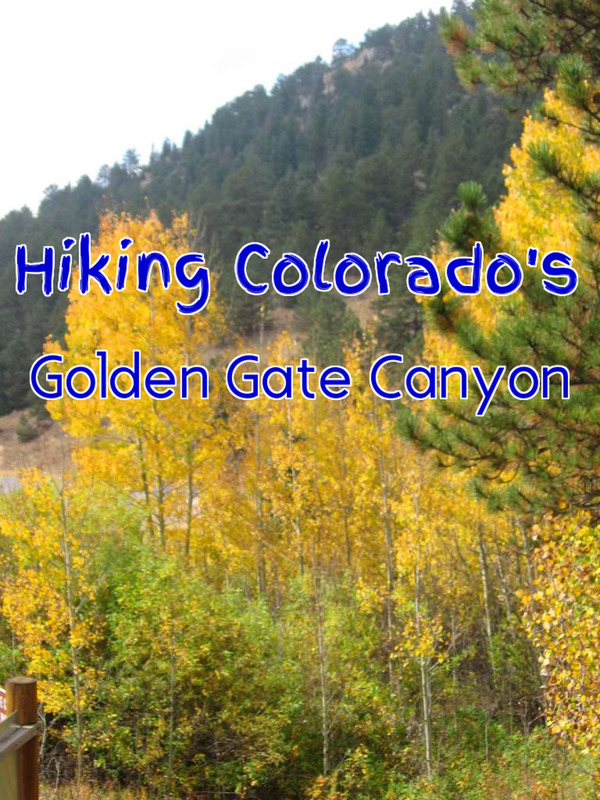 It is only about a ten-minute hike from the trailhead parking lot, which is the first road south of the main entrance to the park. 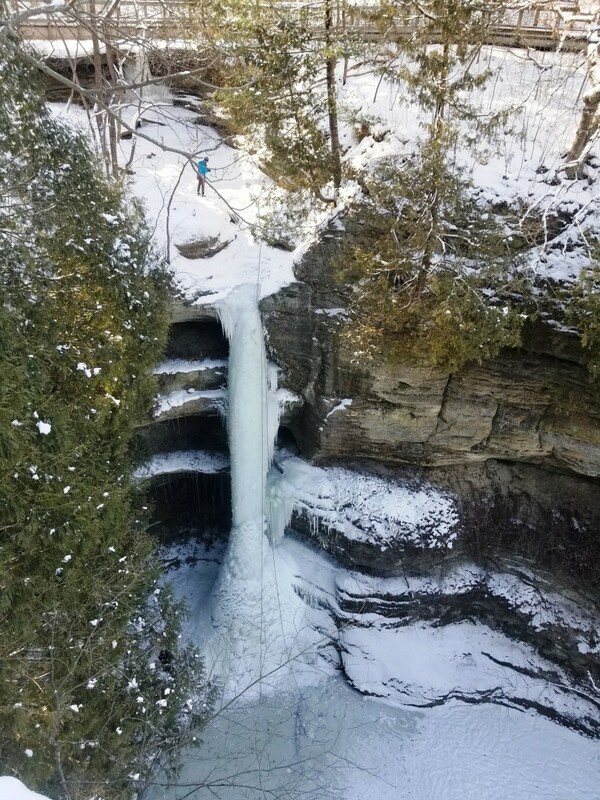 From the visitor center, it is about a mile-and-a-half hike to the falls. 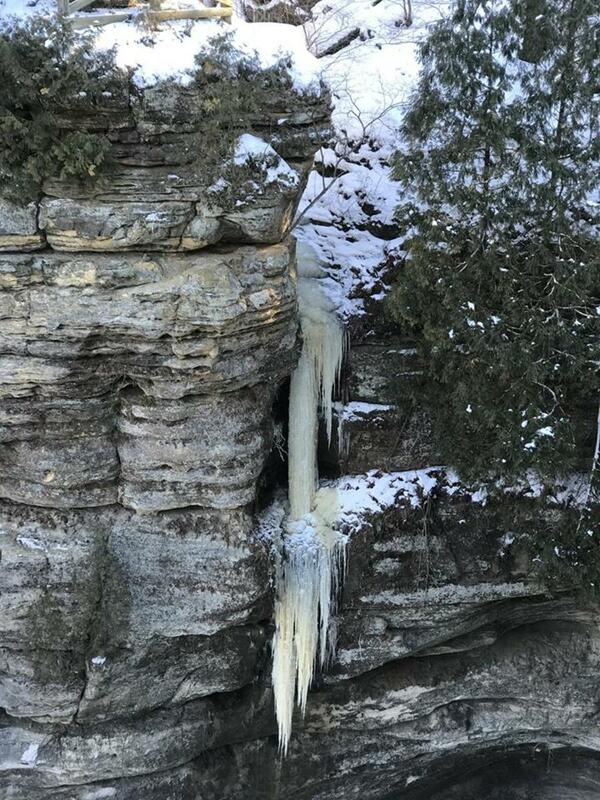 The sandstone cliffs are beautiful. They tower above the canyon floor. As you near the falls, it can get very muddy. It is a good idea to bring a change of shoes with you. The falls and canyon are beautiful. It is a good idea to arrive early at the trailhead parking lot because it fills up quickly. 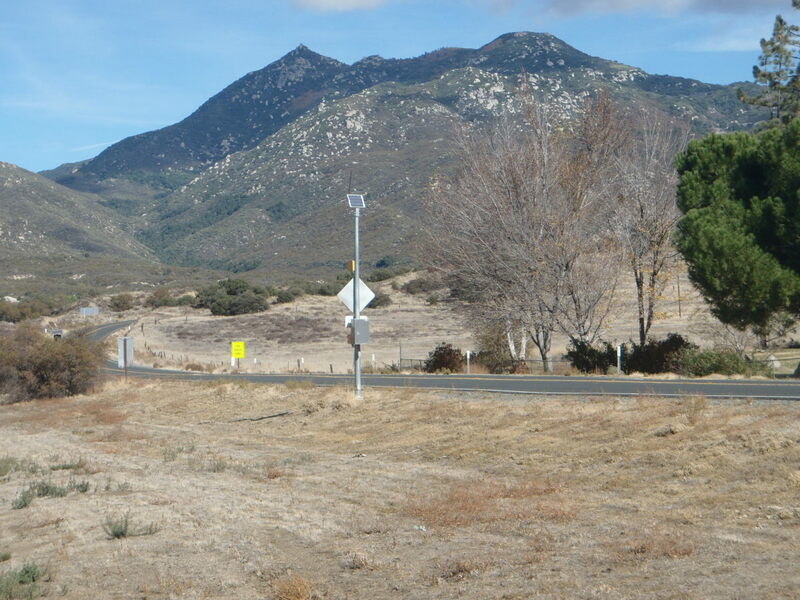 On our last trip there (January 2019), the road to the trailhead was closed near the top, which extended the hike by a few minutes. 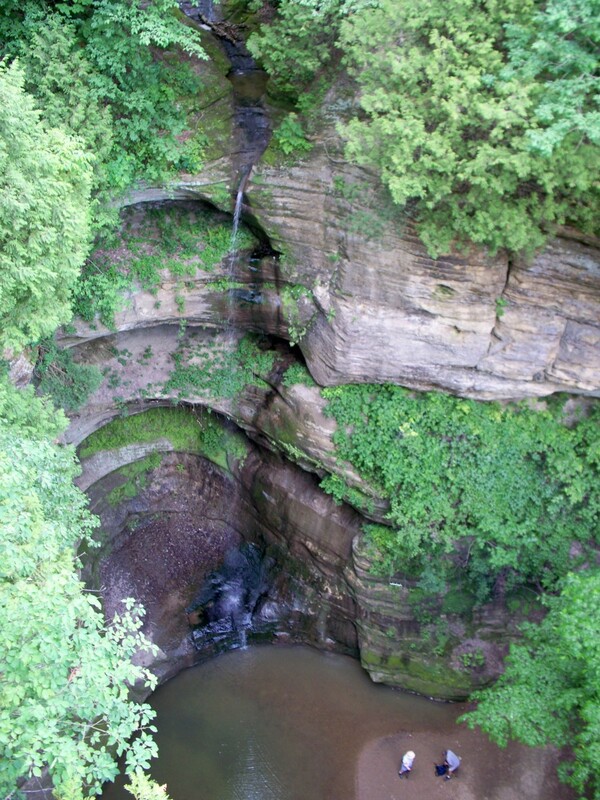 Wildcat Canyon is the largest canyon in the park at 125 feet high. There are viewing platforms on both sides of the top of the canyon. 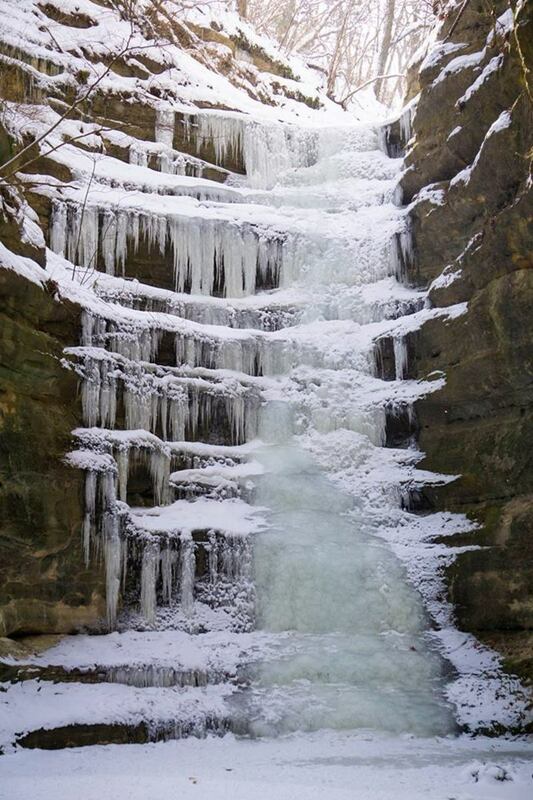 There is a set of wooden stairs that lead to the base of the falls. 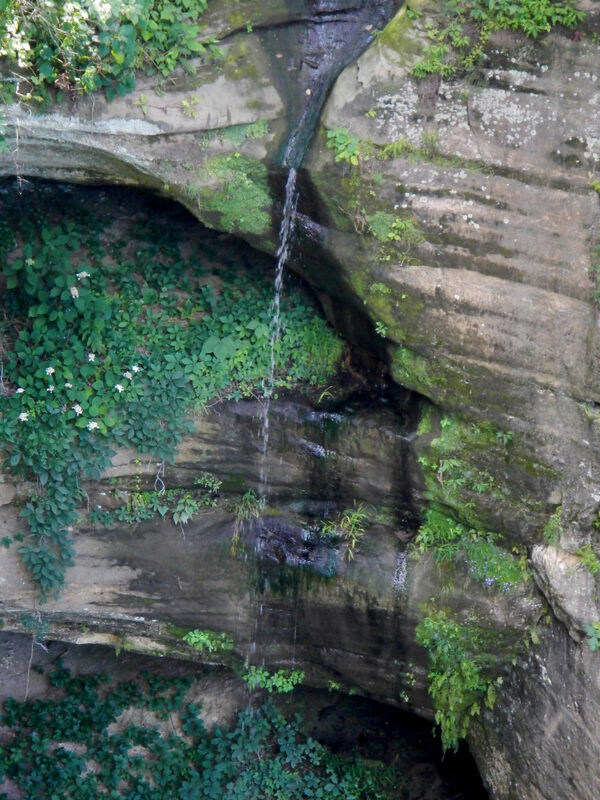 Wildcat Canyon is about a mile hike from the visitor center. 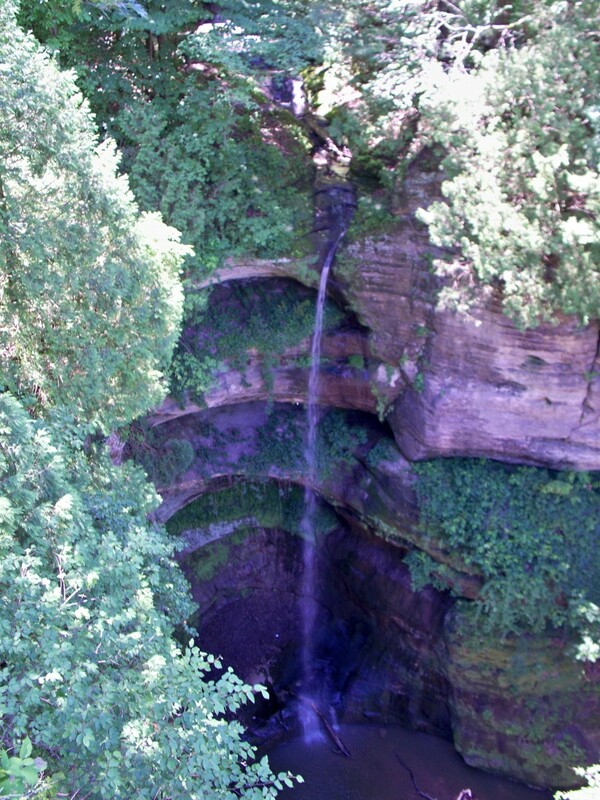 In the summer, it can be very muddy and wet at the base of the falls. 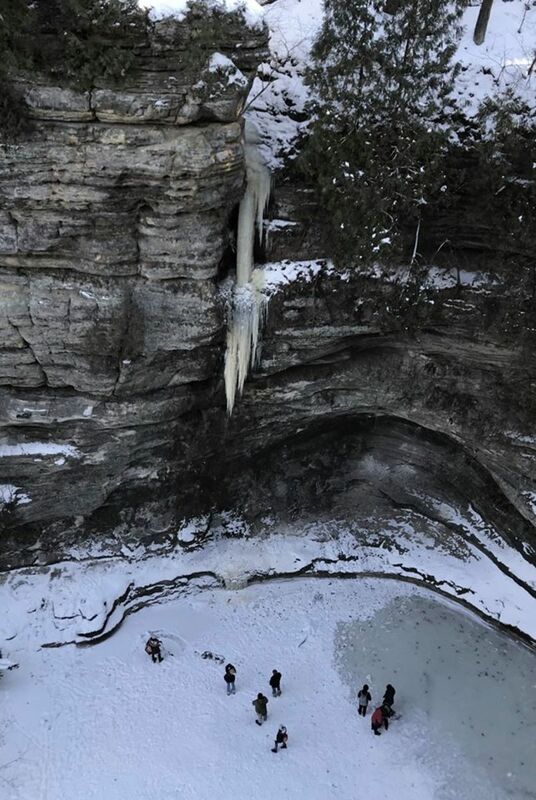 On our last visit to the park (January 2019), my wife and I were blessed to see the falls frozen from top to bottom. It was amazing. I highly recommend this hike. 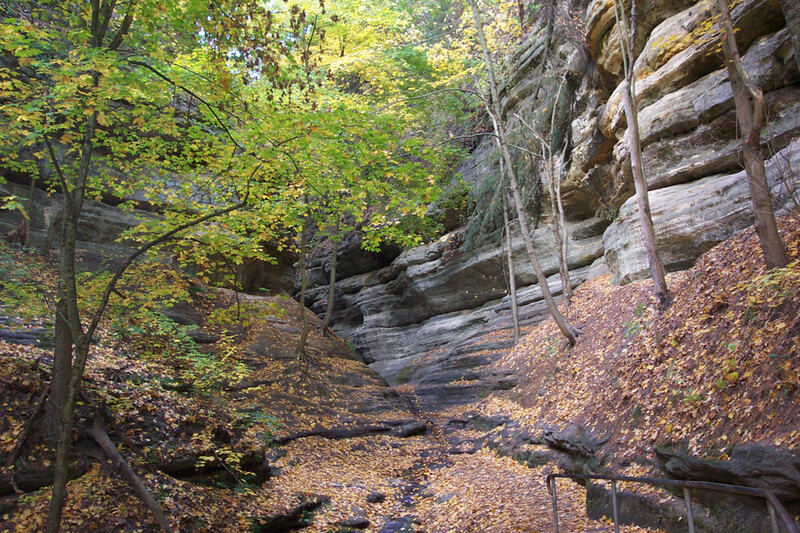 French Canyon is a short hike that is closest to the visitor center. 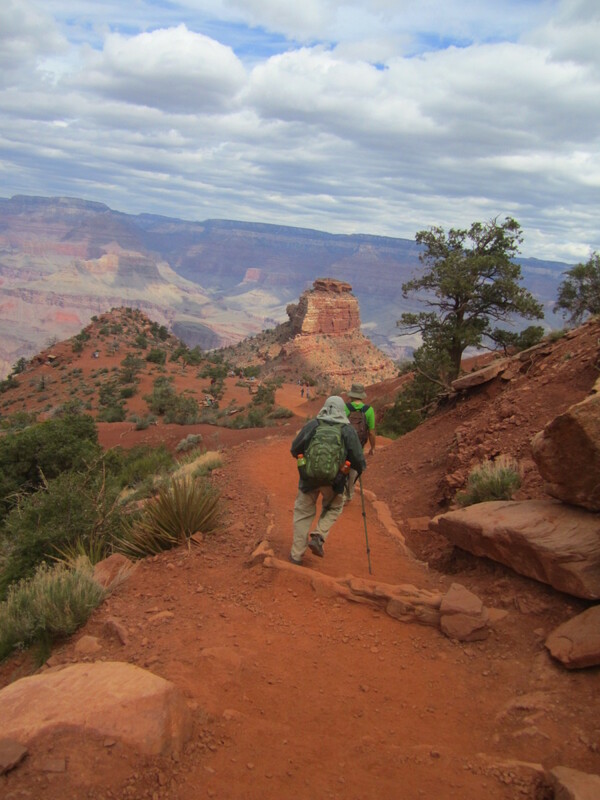 The trail can be very slippery in summer and winter as you get closer to the canyon. 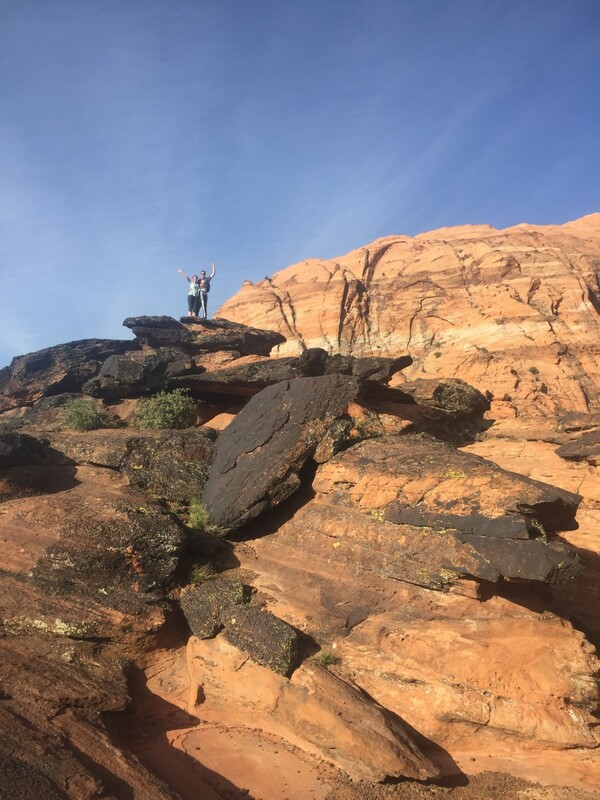 Right before the canyon entrance, there is a slick, smooth rock formation that you need to climb over. The water coming from the falls exits the canyon at this point. The trail dead ends at the falls. 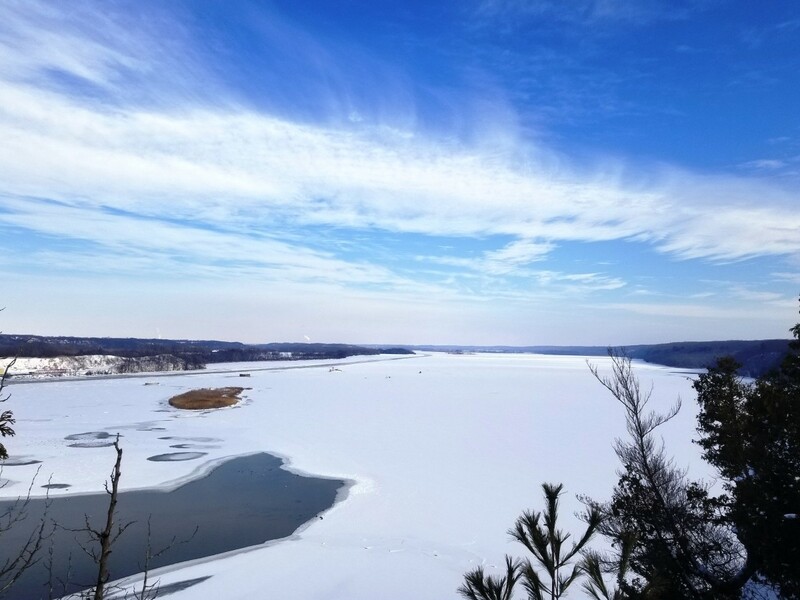 When we were there in January 2019, it was ice covered with a little snow at that point. We went slow but were able to make it with minimal effort. It was amazing. 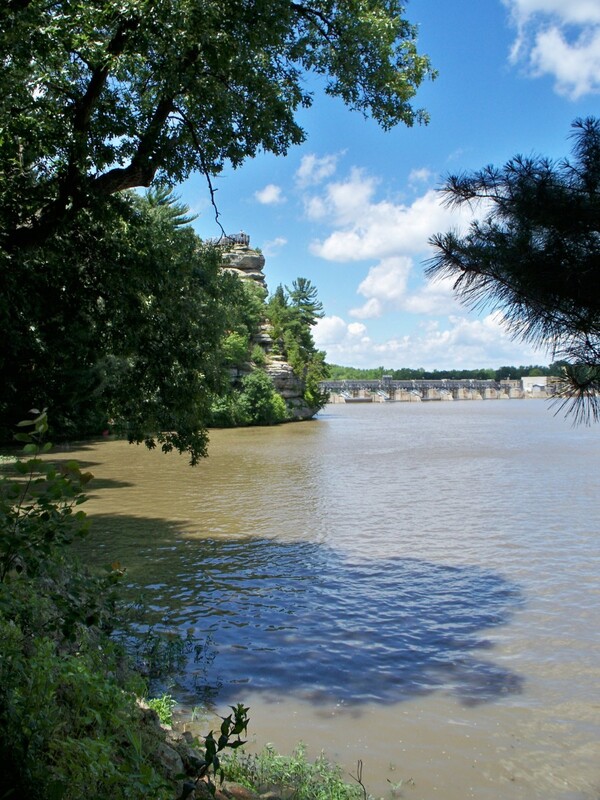 Eagle Cliff Overlook sits high up on a cliff overlooking the Illinois River. The view is amazing. 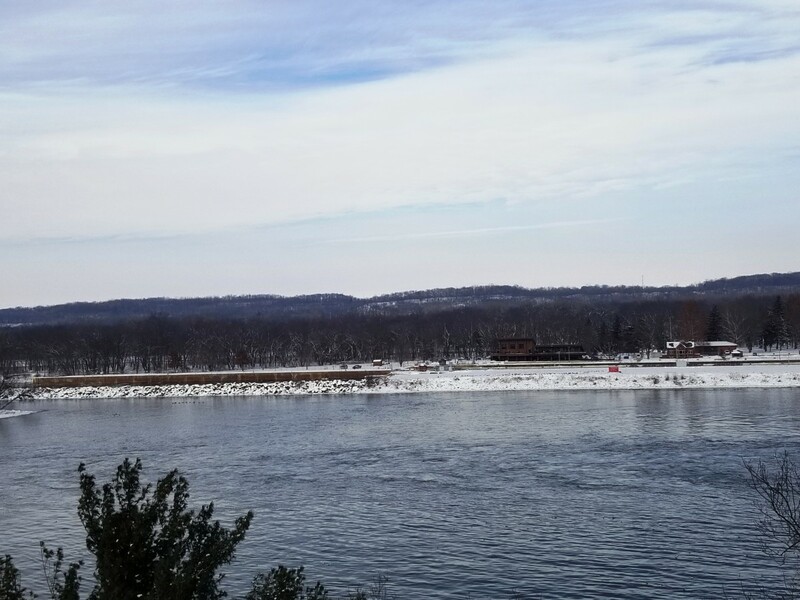 It is a great place to watch barges and other boats pass through the lock system on the river below. The viewing platform is quite large and can hold a lot of people. The view from Eagle Cliff Overlook is best in the fall because of the fall colors. 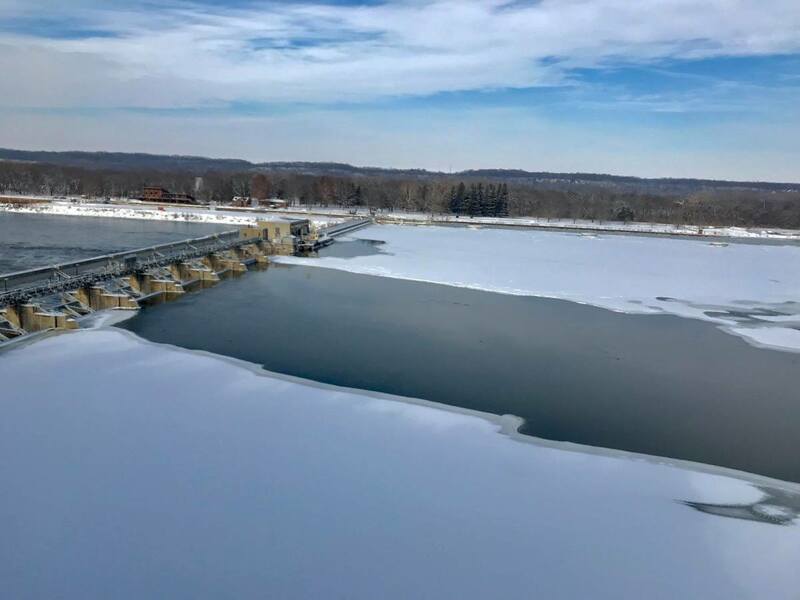 When we were there in January 2019, we saw several eagles swoop down near the dam as they were fishing. 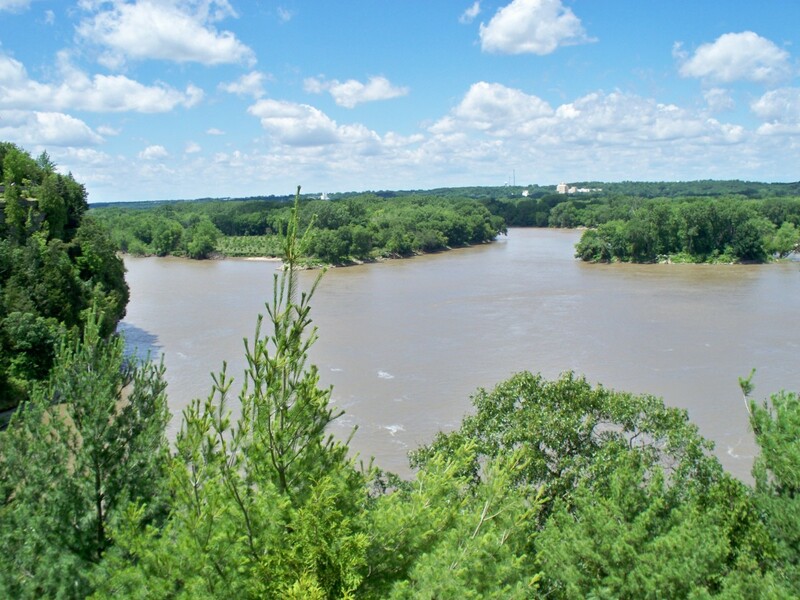 The Lover's Leap Overlook also offers views of the Illinois River. 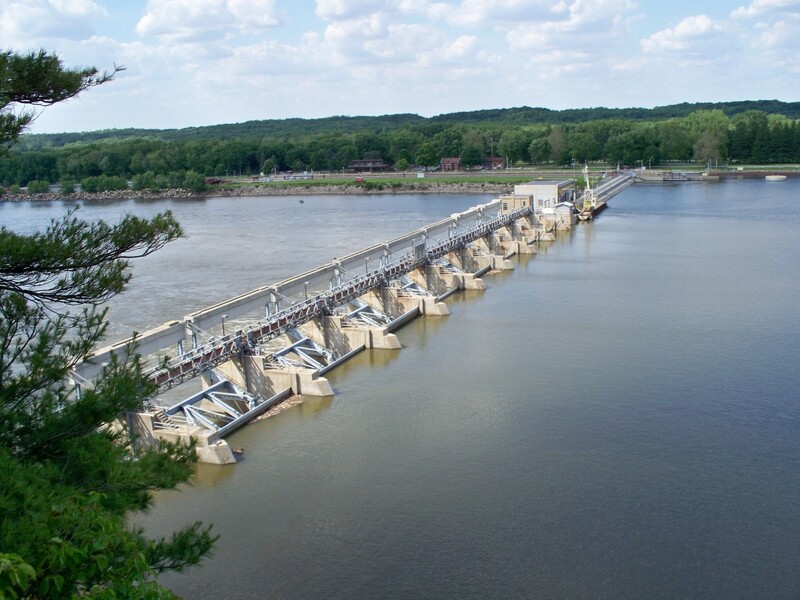 It is west of the dam and lock system. 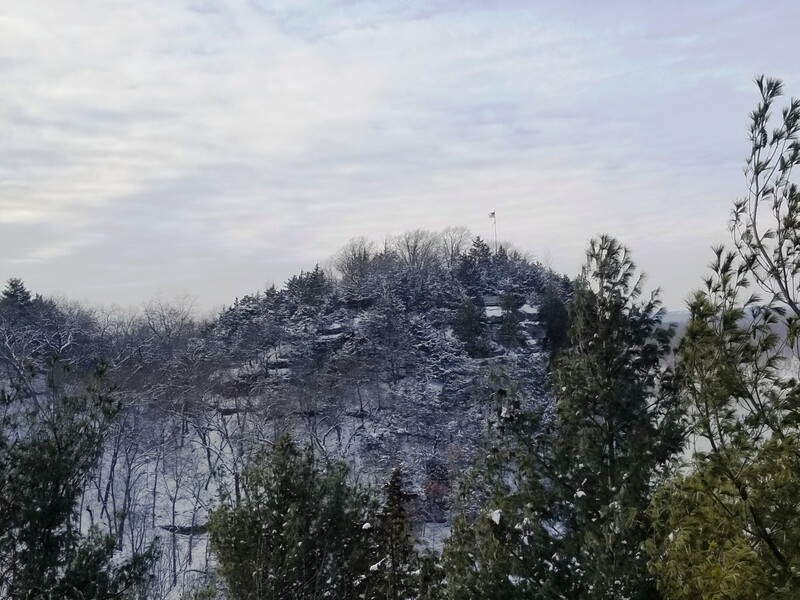 Lover's Leap is the best place to see eagles in the winter months. They nest on one of the islands in the middle of the river. 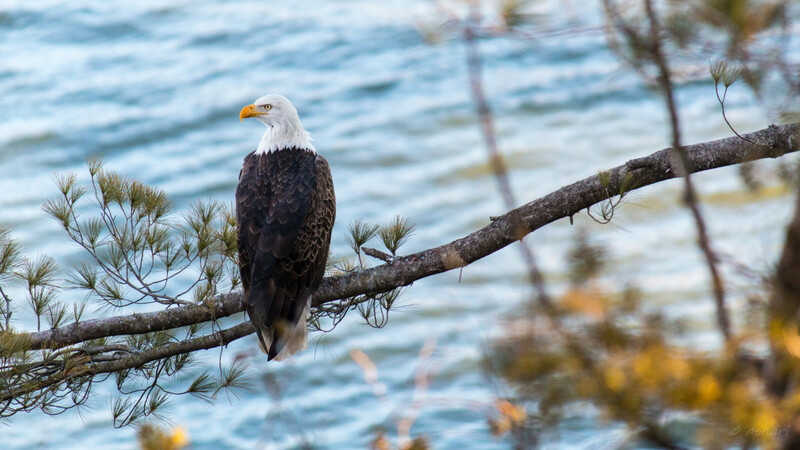 On our most recent trip (January 2019), we were blessed to be able to see five or six eagles flying off their perch and swooping down near the water hunting for fish. It was awesome. I do not mind it. 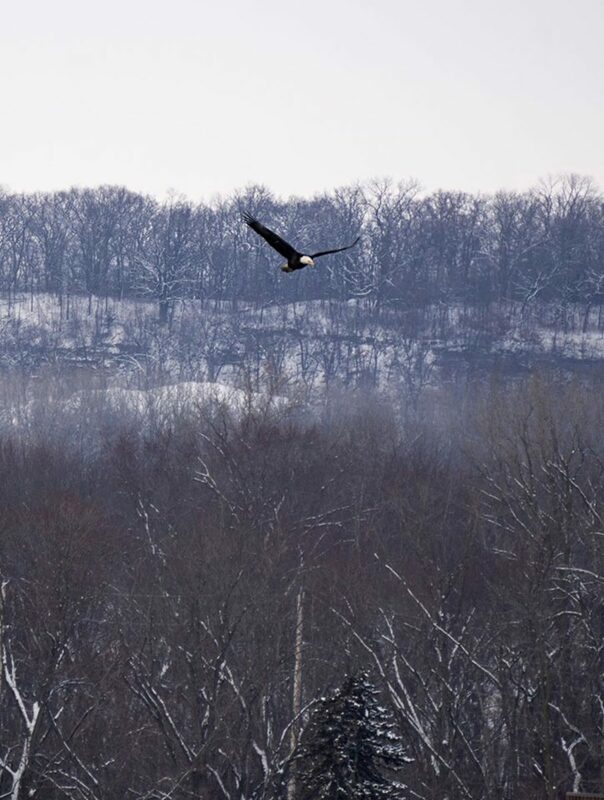 Starved Rock State Park is a great place to see bald eagles. 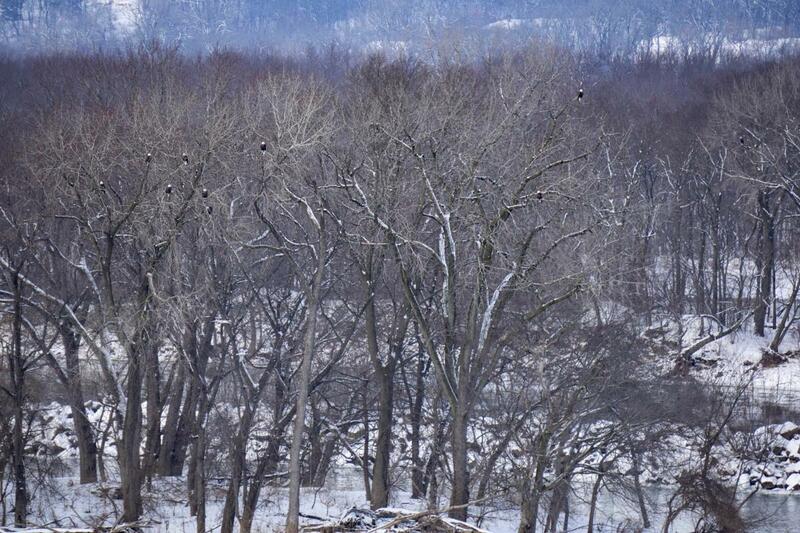 They can be seen in the park during any time of the year, but are most numerous in January and February. It is awe-inspiring to see these impressive birds. 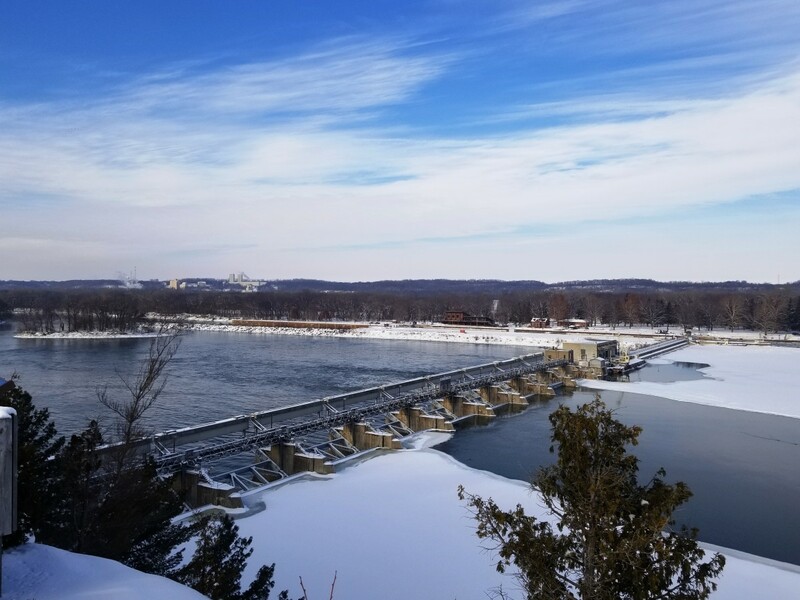 Each year, the park hosts "Bald Eagle Watch Weekend" where they have programs and activities at the Starved Rock Lodge, State Rock State Park Visitor Center, and the Illinois Waterway Visitor Center (across the river). It was amazing! 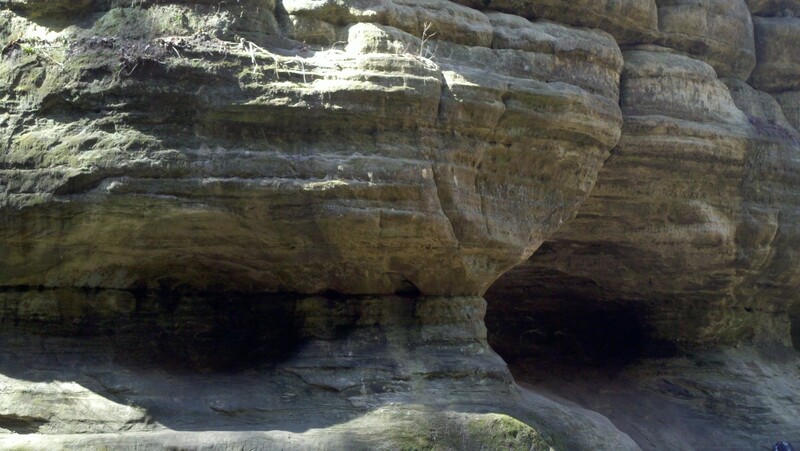 Starved Rock State Park is a great place to go birding. It is home to many different kinds of birds. 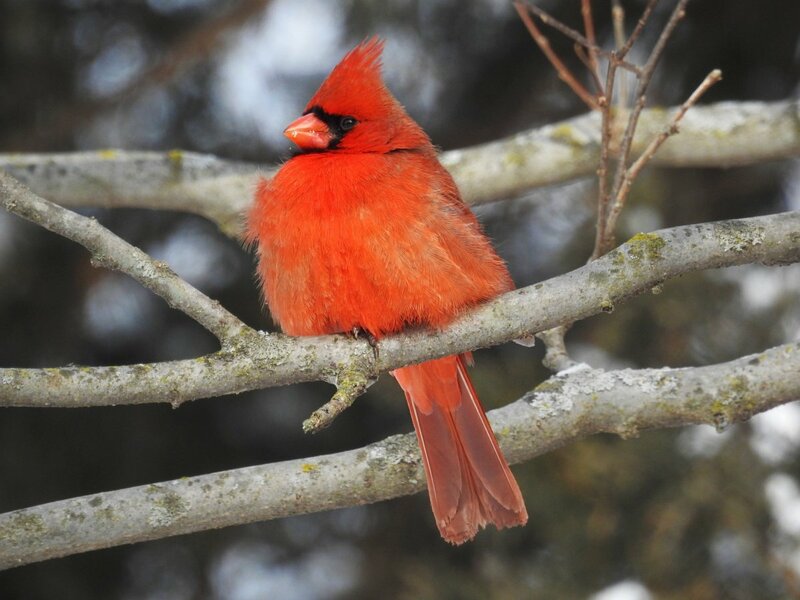 Cardinals, woodpeckers, blue jays, and ducks are examples of birds that make the park their year-round home. The park is also home to herons, owls, turkeys, and pheasant. 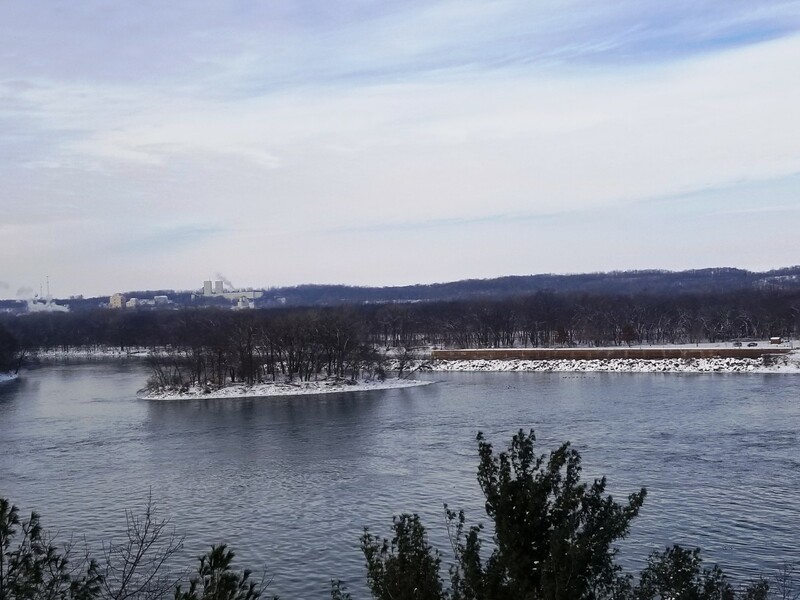 There is a bird feeding area located between the visitor center and the Illinois River. This area is a great place to watch for the different kinds of birds that are in the park. 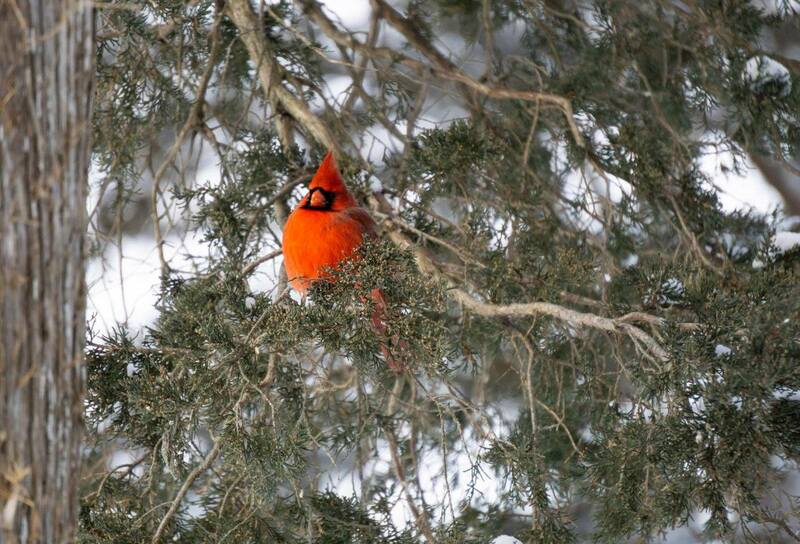 On our last trip there, we were able to see several cardinals, woodpeckers, nuthatches, and a blue jay. 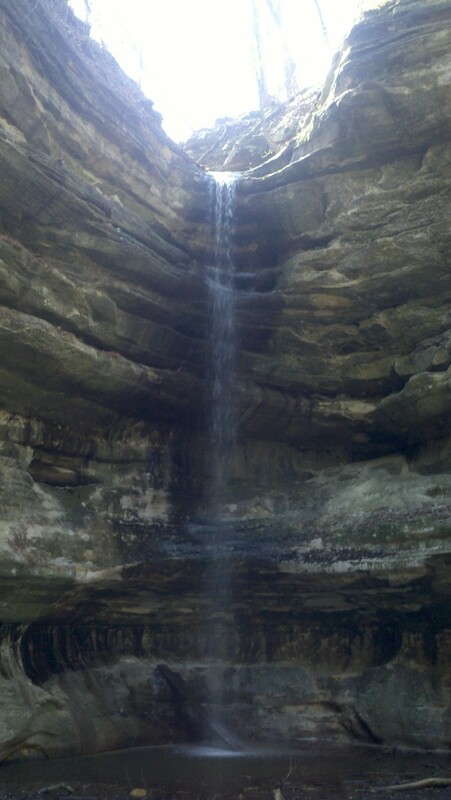 Starved Rock State Park has many great things to see. It is well worth a visit. My family and I love driving out to the park and spending a few hours hiking and enjoying the beauty of God's creation. It really is a great place to explore. Relaxing too. This looks intriguing. Too bad we don't live closer.